John Risley was elected Freeholder-at-Large in November 2011 and Vice Chairperson in 2014 and 2017. 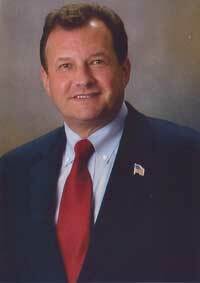 He previously served on the Board of Freeholders from 1995 to 2004. Freeholder Risley has devoted a lifetime of public service as a past president of the Mainland Regional Board of Education, a Linwood City Councilman, former President of Somers Point City Council and most recently, past Deputy Mayor for Egg Harbor Township. John is the owner and President of L. O. Thomas and Company, Inc. a FINRA/SIPC member investment firm founded in 1929. He has been guiding clients with investment advice for over 40 years. John is a member of M. B. Taylor Lodge in Hammonton and a Past Master of Keystone Lodge in Linwood. John resides in Egg Harbor Township with his wife, Dawn and childrenAshley, John, III and Harold.